With Mark’s permission we photoshopped the background out of the shot, leaving this wonderful image that stands like some ancient monolith – a totem to not only Roger Eagle, but to everyone who’s indulged a love-affair with those wondrous plastic circles that have given, and still continue to give, so many so much pleasure. Roger Eagle is someone I’ve written about previously on the blog – whether the name is familiar or not, we’re talking about one of the most influential British DJs ever; his residency at the Twisted Wheel’s first Manchester home in Brazennose Street during the early-mid ‘60s setting the foundations for what would later become the Northern Soul movement. But that’s only part of the great man’s legend – following a move in a more psychedelic direction at Manchester’s Magic Village later in the decade, the ‘70s took him to the other end of the East Lancs Road where he promoted shows at Liverpool Stadium, bringing in some of the great acts of the era, including David Bowie, Led Zeppelin, T. Rex, Lou Reed and his own personal idol Captain Beefheart. This would lead to him opening the club Eric’s with partners Pete Fulwell and Ken Testi, across the road from where The Beatles played so many times at The Cavern on Mathew Street. A whole new Liverpool scene would be born of Eric’s, key to the emergence of a number of artists including Echo & The Bunnymen, The Teardrop Explodes, Dead Or Alive, Wah!, and Frankie Goes To Hollywood. 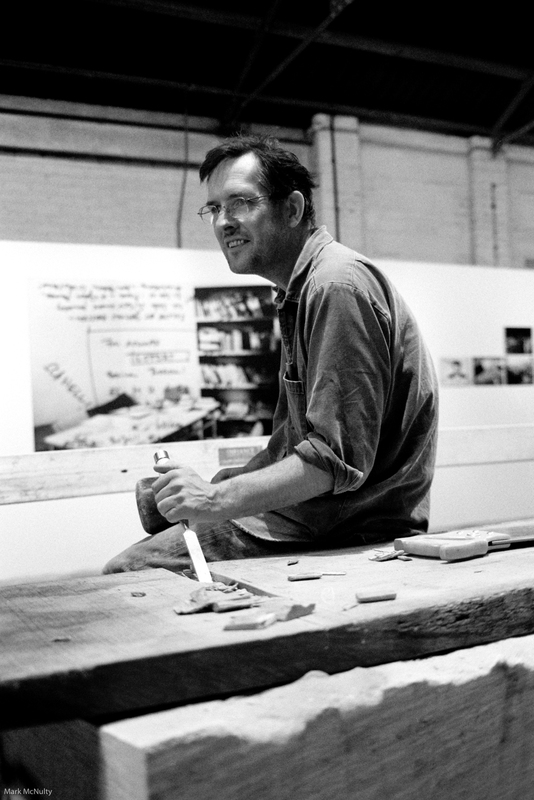 A South African-born Scot who worked as a carpenter and scene painter at Liverpool’s Everyman Theatre, Bill Drummond had built the set for Ken Campbell’s production of ‘The Illuminatus!’ at the Liverpool School Of Language Music Dream And Pun, again on Mathew St, in 1976 – very much an era-defining event in the city, the reverberations of which can still be felt today. In the late-‘70s he’d make his first foray into the music business with Big In Japan, managed by Roger Eagle and born out of Eric’s. It wasn’t as a musician but a producer/manager where he’d first make his mark, working alongside Dave Balfe, who later founded Food Records, breaking Echo and Teardrops in the early-‘80s before taking up an A&R role at WEA in 1983 (where he met future collaborator Jimmy Cauty, then of the band Brilliant). He tended his resignation in 1986, aged 33 and a third, at which point he recorded his own Country / Folk music album, ‘The Man’, his only solo work, backed by Australian band The Triffids and released by Creation Records. However, it wasn’t as a solo artist, but as half of a duo with Cauty that his destiny lay. 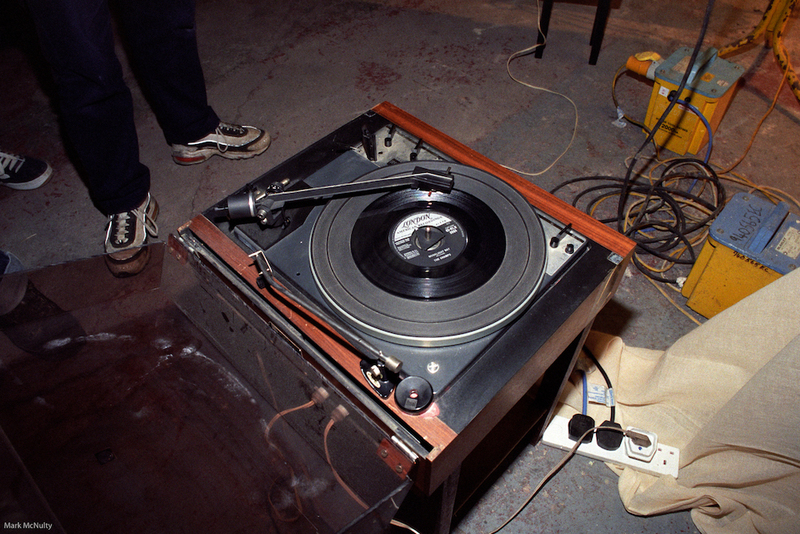 Taking the recording industry by storm via The Justified Ancients of Mu Mu, The Timelords and The KLF, Drummond and Cauty become adroit hitmakers, their music, inspired by Hip-Hop and Rave, underpinned by their unique guerrilla ethos. Having announced their retirement as recording artists in 1992, right at the height of their success, the duo embarked on their most infamous episode, travelling to the remote island of Jura in Scotland where they burnt a million pounds in 1994. Deleting their lucrative back-catalogue, which would financially devastate them even more, they attempted to disappear themselves from pop’s history. 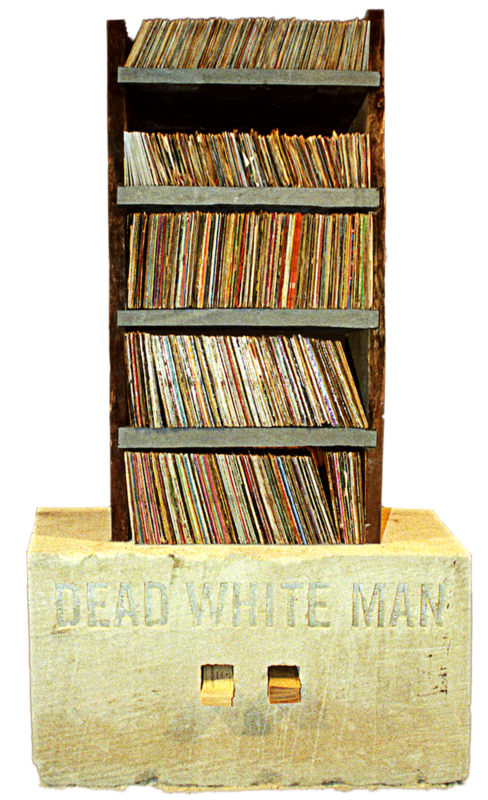 ‘in many senses that record collection was the man, or at least in my head stands as a perfect symbol of the man. An idea presents itself. Roger’s record collection should not be sold off piecemeal by his executors to pay off funeral bills and whatever debts he may have left behind. I should use some of the cash that came my way and never would have if he had not existed and put an offer in for the collection. A towering cabinet could be made from iron or oak or concrete or granite, whatever feels right to encase the collection. Eagles’ records, somewhat depleted as a result of theft, had been entrusted to Ron Taylor who he’d befriended, and who’d support him in Bangor, North Wales during his illness. Bill Sykes recounted ‘regarding his record collection, he wanted them to go to someone who’d play them, enjoy them, experience them, and most of all let others experience them.’ Still based in North Wales, Taylor and his partner Dylan Fernley are still sharing and enjoying records from the collection almost 2 decades on, DJing as Tribulation Rockers, which they’d formed way back in 1984 – their first gigs being fundraisers for the miners strike. The idea Bill Drummond outlined in ‘Brutality, Religion And A Dance Beat’ would become a reality at the Jump Ship Rat – the magnificent cabinet brought into being using sandstone, slate and wood. 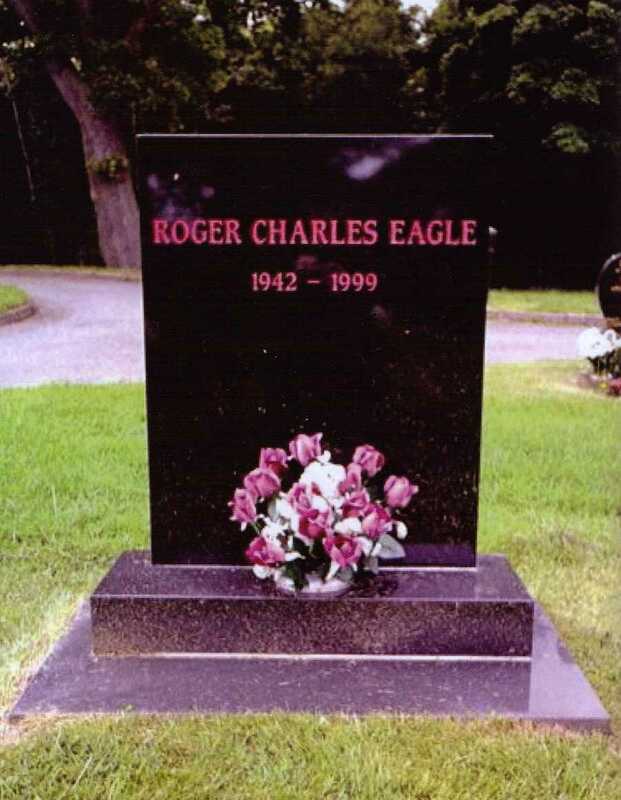 Ron Taylor and Dylan Fernley were at its unveiling, along with Dave Prosser, who’d been there for Roger Eagle throughout his illness, and helped him to make CDs from his vinyl collection, which they’d sell to help keep Eagle afloat during this desperate time. Some of the records they’d inherited were brought along and placed in the cabinet. After its unveiling, they’d later play a spot at local club The Magnet, dedicated to the great man. Bill Sykes recalled ‘Moonlight Bay’, a 1958 record by The Champs, as being particularly revered by Eagle at the time he last saw him in 1998. It’s the single Mark McNulty photographed on the record deck at the gathering. I’m not sure what became of the record cabinet afterwards. I tried to find out but a definitive answer was elusive. 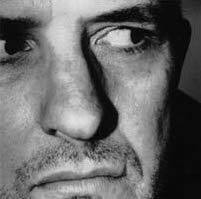 There’s a myth of Bill Drummond offering it up to the River Mersey, vinyl and all, or it’s reasonable to imagine some private ritual pyre, but I’m hoping it’s still fully intact somewhere, and that we might stand before it one day in recognition of a true master of records. Roger Eagle Wikipedia: (Roger Eagle still, incredibly, doesn’t have a Wikipedia entry – hopefully this will be resolved soon and we’ll add link here). Thanks to Bernie Connor, Bryan Biggs, Dylan Fernley, Stephen Hardstaff and, of course, Mark McNulty for supplying some of the info contained. Also, thanks to Tim Collins for the photoshop. Excellent stuff. Big In Japan,Zoo Records,Open Eye Records,Erics Records,Those Naughty Lumps,early Teardrops,Wah. Had them all as a 15 year old down that London. That is a fantastic read. Cheers for that!